What Type of Bike is Best for Commuting? This is a personal choice. Perhaps the most popular is a hybrid bike. This offers reasonable speed and good stability. Being the most popular enables shops to offer at cheap price. However, there are many different types of bike a commuter could use. 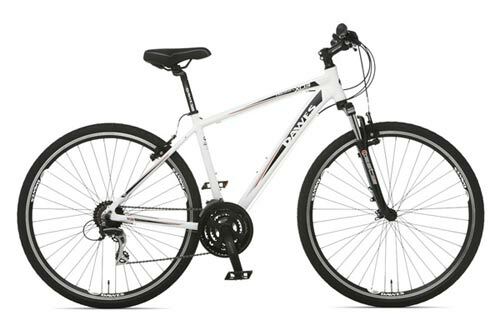 Cheap Mountain bike (usually from Taiwan) – Can get for under £200, even under £100. Pros – designed with commuter in mind. Good value for what you can get. Cons – no major downside, not necessarily something to get overly excited about. Converted Road Bike. A Road bike will be the quickest, ideal for any commuter who travels a considerable distance. Folding Bike – Pros: ideal for the commuter who cycles part of the way and gets the train or car for the rest. Cons: not fast, not cheap. Retro Bikes – old fashioned style bikes. Look great and are built for carrying stuff on your commute. Will tend to be slower and heavier than road bikes. 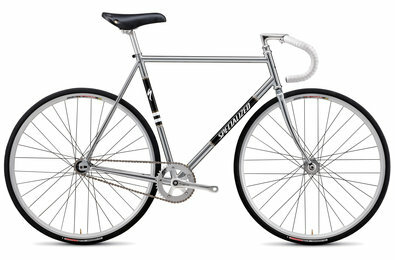 But, if you prefer style over speed, retro bikes are a good choice. Review: An amazing combination of components for less than £500. Aluminium frame and carbon fork, often cost £1,000 on a road bike. Tektro brakes do a good job and Shimano Acera and Alivio are also pretty smooth for the price. It’s hard to expect more from a bike at that price. Giant have specialised in producing in large quantities in the far east to get the most from economies of scale. That’s how they can do it so cheaply. The Dawes discovery range offer a good solid introduction to the hybrid market. They are likely to be sufficient for most commuting needs. Based on a light alloy frame. They come with 24 gears and offer options for panniers e.t.c. They look stylish without being posy. A good example, of a hybrid bike that gets the job done. The new XO4 comes in at £350 so is quite affordable. As you go up the range you get a better selection of gears and extras like suspension seat posts. 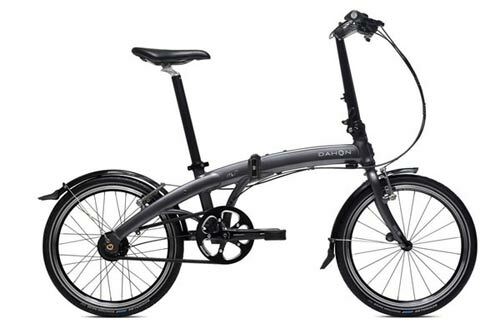 For example, the Dahon Espresso 2010 based on a 7005 Aluminium frame is £450. The Brompton M3L with Sturmey Archer 3 speed and steel frame is £699. But, the distinctive build of Brompton does give an excellent upright comfortable posture. ← Your Best Experience on the Bike? Great advice. I’m looking to buy a sturdier commuting bike (I’m a big lad) and I was wondering what would you recommend. 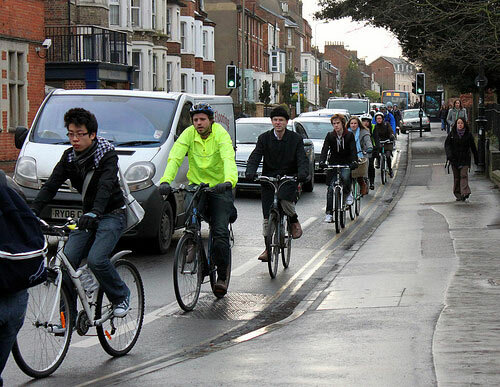 What is the maximum weight a commuter’s bike can take? Best commuting bike for me is one that keeps me clean and requires little (no) maintenance. It has to be clean as I work in a small office with no showering facilities so I wear my work clothes into the office. Well the ride is only 5 miles each way, so I don’t really work up a sweat. I didn’t want a chain and went for a gates carbon belt. An excellent choice for me. I didn’t want derailleur gears either. I was happy with hub gears. My daughter lives in Amsterdam, and the residents there leave their bikes out in all weather, with no apparent ill effect. They get stacked when parking, so a derailleur gear would get knocked out quite regularly and easily. For a commuter bike, I did not want to keep adjusting the gears. Hub gears on the continent are much more popular than in the UK. If you wear lycra, could you be seen with a hub geared bike ?! So in the end I went for a Norco Ceres. Anyone else have experience of a gates carbon drive ? Sounds good choice of commuter bike. I’ve not heard much about Norco Ceres, but it ticks a lot of boxes. I have had a number of bikes, but over the years I’ve found the only one that I will still enjoy riding is a Dawes Galaxy Tourer. It has had a variety of components replaced by shorter/smaller versions, and has a set of Conti 2000 Top Touring tyres, a Brooks Pro saddle, clipless pedals and replacement cassette giving a bottom gear of 19″. The combination of variable riding positions, the ‘relaxed’ steering geometry that actually thrives on a bit of weight carried, and the overall ‘fit’ for me make it completely out of the league of my old (vandalised) Raleigh 3 speed, or nearly as old (not used unless I really can’t avoid it) Trek Hybrid. Funnily though this is the second ‘types of bikes’ listing that hasn’t even ‘nodded’ in the direction of a traditional touring frame that I’ve read today. A note on the Ammaco hybrid and probably most of its ilk. To my original £150 purchase, I have replaced/added – tyres (Schwalbe Marathon 700Cx38, £22, superb), chain (£10),bottom bracket (£10 + tool), chainset (£30), shifter (£12), pedals (£15), stand (£16), saddle (£25), stem (£20). The latter 2 ended up totally destroyed after a year or so. All parts were the cheapest sensible from the LBS/H***ds. One of the plus points of buying a bike this cheap is that ANY aftermarket parts are an improvement. As a result I’ve ended up with a superbly capable city bike for around £350. The cost and irritation of bits just dropping off or dying miles from home is another matter altogether of course. But whatever else you do, with a cheap hybrid get the bottom bracket changed AT PURCHASE!!! Interesting experience, thanks for sharing. Though with things falling off, it’s probably worth paying £350 in first place. Two points to note; (compare like with like) A retro bike is neither neccessarily heavier or slower. And is unlikely to have the stupendous number of gears machinery manufacturers like you to buy, but you don’t need. Aluminium frames are not lighter than, equivalent standard, steel frames but are much more rigid and take about eight times as much energy to produce. Fixies are ok if you get the gear ratio right- alot of companies seem to finally be adjusting to more suitable gearings compared to relatively huge track gearings. Personally I think you should have had a Cyclo Cross Bike on your list for their sheer do everything practicality. 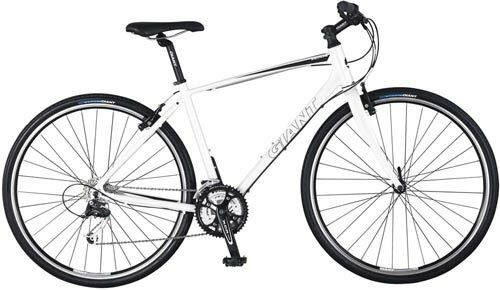 Try looking at the Montague range – full size folding mountain bikes and hybrid tourer style bikes! interesting you suggest fixed wheel is not suited for bristol. there’s a thriving group of fixed wheel riders in the city who regularly organise social rides, film nights, newport track excursions, as well as lung-bursting hillclimbs.